Google display ads are an important part of your paid search efforts as they help with branding and exposure across various mediums. Display ads need to have certain elements to be effective, we will detail those below along with recommendations from Google to achieve optimal results. Just remember, you want your ad to stand out! We've had the most success with the ad sizes below. We recommend you create these five sizes to start. Your company logo is essential to building brand awareness. Make sure it's visually dominant but doesn't overshadow your value proposition or CTA (call to action). The value proposition details your product or service and calls attention itself with compelling offers and/or prices. 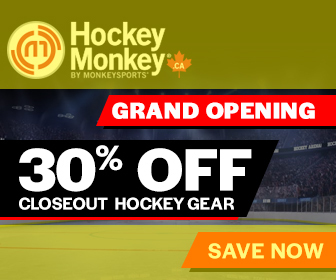 Terms like "High Quality" or "40% Off Closeouts" or "Limited Time" are very effective. The call to action (CTA) is the button used to invite a user to click your ad. Wording like “Learn More” or ‘”Save Now” or “ View Styles” are great examples. This is the most important element and should be a clear focal point of the ad. Best practice is to place your CTA after your copy on the lower right side with a contrasting color. Keep your buttons consistent across all of your ads. Make your headline and body copy different sizes. Your headline needs to grab their attention and your body copy can provide important and attractive details. Your copy should be four lines or less. Make sure to keep your content and graphics simple. Viewers typically glance at your ad for less then a second and a busy ad prevents your brand, value proposition or CTA from catching their attention. Different colors evoke different emotions from your audience. Color will be the first thing a user notices in your banner ad. Colors are subjective and have different associations in different cultures. Make sure to study your target audience when making your color selections. 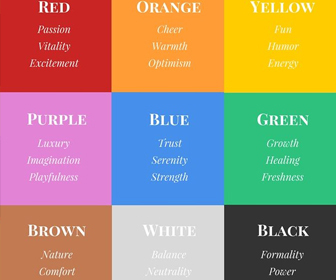 Here is a great article on the emotional effect of colors. Size: The smaller the file size the better and should be under 150 kb, according to Google AdWords. Your ad needs to load quickly on a page before viewers scroll down and miss your ad. Format: JPG, PNG, GIF or HTML5 files will be your deliverables. Adobe Illustrator or Photoshop is typically used by designers to deliver JPG, PNG, or GIF files, or in Google Web Designer or Adobe Animate for HTML5 files. Remember, Flash ads are pretty much out of date at this point. While the previously mentioned ad sizes have proven to have the best results, there are many more sizes and you should test them for your brand if you have the time and resources to create and test them.